Welcome to First Accommodations, North Lake Tahoe’s leading source for high-quality cabins, condos, and vacation rental homes. Through personal service and excellent maintenance, we provide superior accommodations and custom-tailored Lake Tahoe Vacations. Our Lake Tahoe Cabins, Ski Condos, and Lakefront Vacation Rentals place you at the center of Tahoe’s best beaches, world-class ski resorts, and classic lakefront towns. 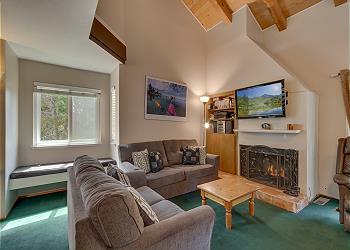 First Accommodations gives your family the perfect home in North Lake Tahoe. North Lake Tahoe, which encompasses the towns along Lake Tahoe’s north and west shore, has many of Tahoe’s best cabins and vacation homes. Our guests choose from private homes across Tahoe’s best lakefront towns. 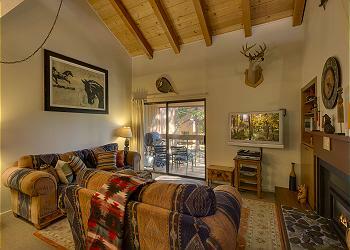 Each North Lake Tahoe Town offers special cabins and vacation rentals. From Kings Beach to Tahoma, every town on the Northwest shores of Lake Tahoe gives you great access to the beauty and excitement of Lake Tahoe. First Accommodations offers premier cabins and vacation rentals in Lake Tahoe’s Classic Lakefront Towns: Tahoe City, Kings Beach, Dollar Point, Carnelian Bay, Agate Bay, Tahoe Vista, and Tahoma. Tahoe City is North Lake Tahoe’s the largest town. In Tahoe City, there’s a marina where you can launch and rent boats, as well as great shopping, golfing, and dining. Some of finest Lake Tahoe Cabins are near Tahoe City. Kings Beach is a vibrant town on the far north end of Lake Tahoe. Kings Beach, known for fun water sports and mountain recreation, gives you access to kayaking, parasailing, and boating, as well as hiking, golfing, biking and skiing. Dollar Point is one of North Lake Tahoe’s upscale communities, with many luxury cabins and vacation rentals. Dollar Point Cabins and vacation rentals included swimming pools, tennis courts, and private beaches. With many lakefront properties, Dollar Point is perfect for family vacations. Carnelian Bay, and the Carnelian Woods development, is great area for group vacations, family gatherings, and Lake Tahoe weddings. Many Carnelian Bay Vacation Rentals have private swimming pools, hot tubs, and tennis courts. Guests enjoy endless hiking trails and pristine beaches. Agate Bay, located between Carnelian Bay and Kings Beach, is an authentic Lake Tahoe town known for its beautiful coast and expansive views. Agate Bay Cabins give you the privacy and convenience. Tahoe Vista is a special beach town with a nice park, plenty of shopping, and marina for boat launch and rentals. Tahoma, on Lake Tahoe’s west shore, is one of Tahoe’s most pristine areas. Tahoma Cabins and Vacation Rentals are located near Homewood Ski Resort, and Chambers Beach, Sugar Pine Point Park, and Emerald Bay are just a short drive away. Relax and Rejuvenate in the Clear, Emerald Waters of North Lake Tahoe. Book Your Dream Lake Tahoe Vacation Today!